A pat on the back can mean a lot more than we think. People sometimes underestimate, maybe even overlook just how powerful a simple act of acknowledgement can be; in our social setting and especially in the workplace. If only I had a penny for each time someone told me that they can no longer go on in their job because they feel undervalued. Now hang on, there are two ways to interpret that. Could it be that they’re feeling overworked and underpaid? Or perhaps they're totally fine with the pay, extended work hours and circadian disruption – just in need of a little appreciation to keep going? I’ve had several interesting conversations around this in recent months. Naturally, the subject sets me off on a probe; and a chain of questions later, I find myself arriving at the same conclusion. While an attractive salary and benefits package may get stellar candidates through the door, it’s the intangibles that keep them in. 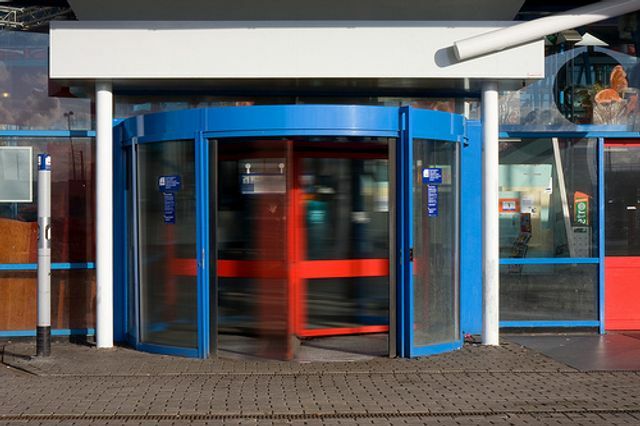 I’d say about 9 out of 10 people would cite reasons related to people and culture, which got me thinking about the revolving door phenomenon – how can companies put an end to the in-and-out cycle of employees? Let’s be real for a minute here. Us humans are complex beings. We’re governed more by our emotions than by reason. That's precisely what makes recruitment a tough and precarious game! Opportunities are all around and employees will tender, pack-up and leave whenever they feel like it (or are somehow convinced that the grass is greener elsewhere). Oftentimes the real reasons are unknown or unclear to the employer, and apparently, it isn’t uncommon for a single resignation to turn into a mass exodus! There really isn’t a surefire methodology to ensure employee retention. But from what I'm hearing, pay alone isn't the answer. People crave a sense of worth and will be willing to go the extra mile if the purpose of their work is clear. It’s very much a matter of the heart. What engages us is the emotional connection and bond of trust. We all want to be heard and understood as much as we want to be given feedback. We want promises to be kept, expectations and a direction set (could I get a hell yeah!). Talent is scarce, trends have changed and what we’re realising is that despite the efforts put in to headhunt the right calibre, people have become increasingly selective. To top that off, there seems to be a battle against attrition and turnover across various sectors, and losing good employees can be both disruptive and costly. So, we can see how the revolving door can be a tricky one to manage, and I can only imagine the effort and pain of an internal shift, not to mention the impact of high turnover on a company's reputation. While an effective hiring plan is pivotal to any company’s success, it should be followed through with carefully thought out and adequately evaluated retention strategies ready to go. I'm a strong believer in the intangibles as key drivers, passion included. I know what keeps me motivated to get out of bed and into work every morning; it's a strong vision of what success looks like, and I'm surrounded by it every day from working with a team of hustlers who share the same values. It’s true, the driving force behind every successful business is its people – employees before customers (as Richard Branson would say). Happiness in the workplace drives business objectives and if there’s anyone or anything that’s incompatible with that culture, it’s probably time for a sit-down. As the saying goes, a stitch in time saves nine. The key is to preempt and prevent the revolving door.